Media.net provides you hassle-free experience of contextual text advertising on your blog with the help of media.net you can earn better revenue with your website even with small traffic count. I have also used this advertising network to monetize my blog and I'm totally satisfied with media.net performance on my blog. 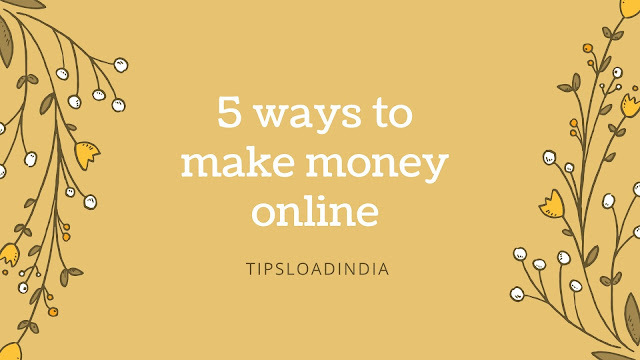 It's very easy to start using media.net with this small blog because registration process with this advertising network is much easier than Google AdSense we all know that registration process of Google AdSense is very difficult for a newbie and it's also very difficult to get approval with Google AdSense but in media.net you can easily got approved even with your small website. 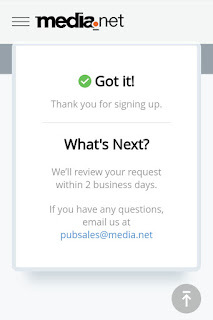 There are only few requirements to get started with media.net as a publisher, you just need a website URL and a gmail address to request a publisher account in media.net there are two ways to get registered with media.net. 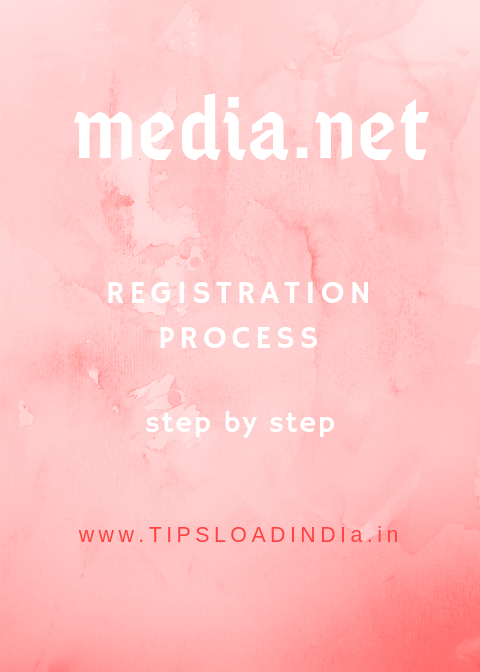 These are the two methods to get registered with media.net as a publisher both are easy and short and a beginner can easily do registration with media.net through any of these types. Let's talk about the process to create a account on media.net. It's easy and beneficial way to get registered with media.net as a publisher because if you register through invitation link then you will get a bonus of 10% for next 3 months in media.net and this is also increase the chances to get approved by media.net you can easily do registration to invitation link just click this Link and this will redirect you to official website of the media.net then just follow these steps. • give your gmail address. • type your name and than submit. 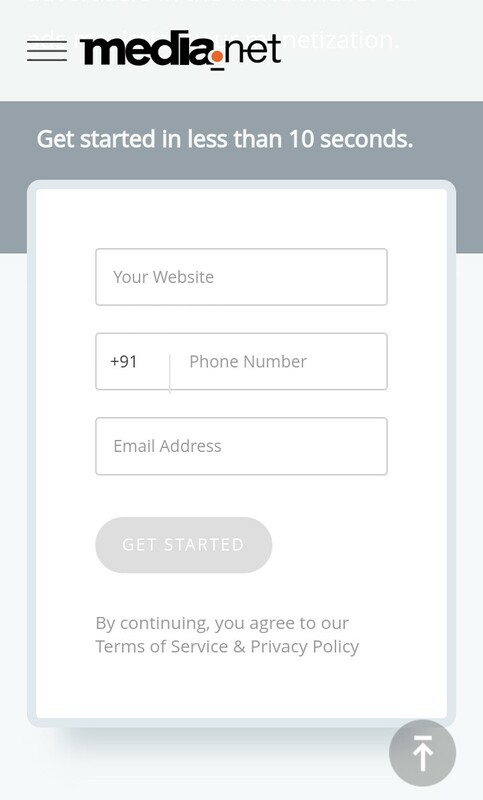 It's how you you can submit your details to media.net after completing process you will got a email. Which is a confirmation mail for your Gmail, now you have to wait for next 2 days and they will contact you through mail regarding your account details. 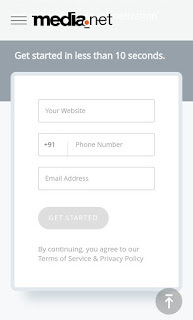 If you got approved with media.net then they will send you your username and password or if they reject your request then they will tell you the reason of rejection. 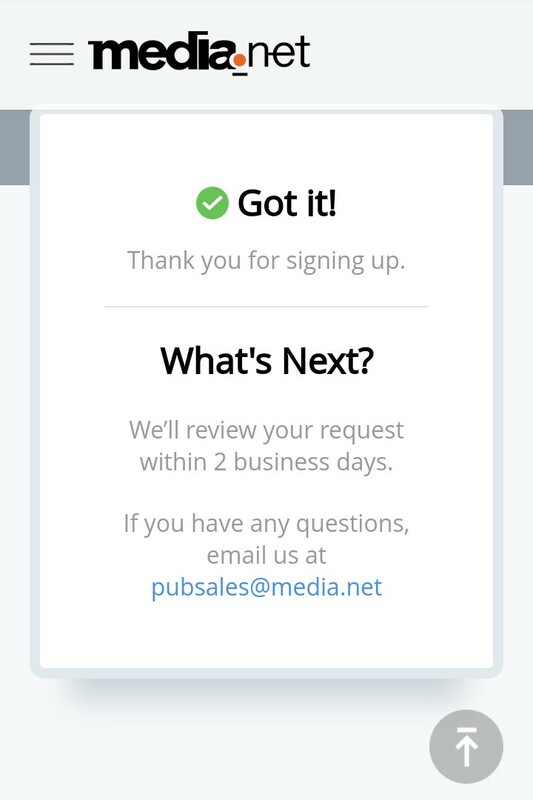 You can also register with Media.net through its official website just visit media.net and then click on sign up repeat the process and all process will be the same this is how you can create a publisher account with media.net as a beginner.